The Casterosse Hotel is the perfect place to relax and chill out. This Hotel is beautifully situated on the shores of the Lakes of Killarney, just 2km from Killarney town. 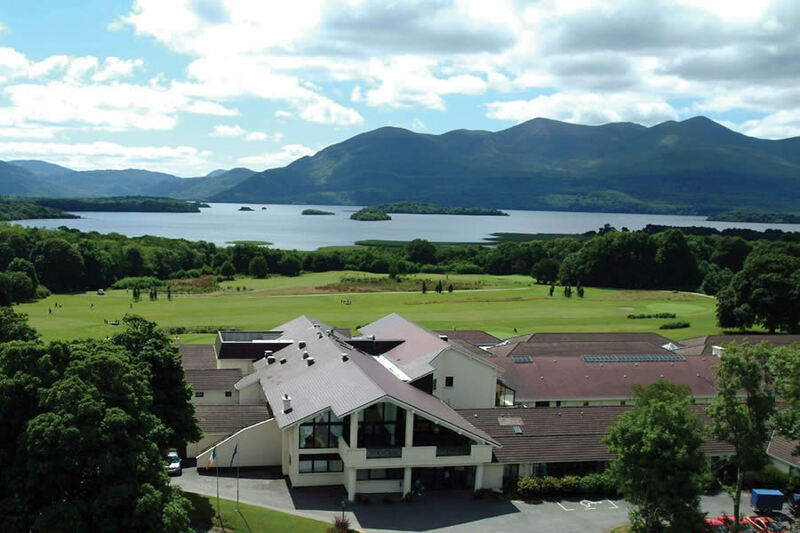 Along with its own 9 hole golf course this Killarney Golf Hotel has facilities including the Health and Leisure Club with 20m swimming pool and floodlit tennis courts. 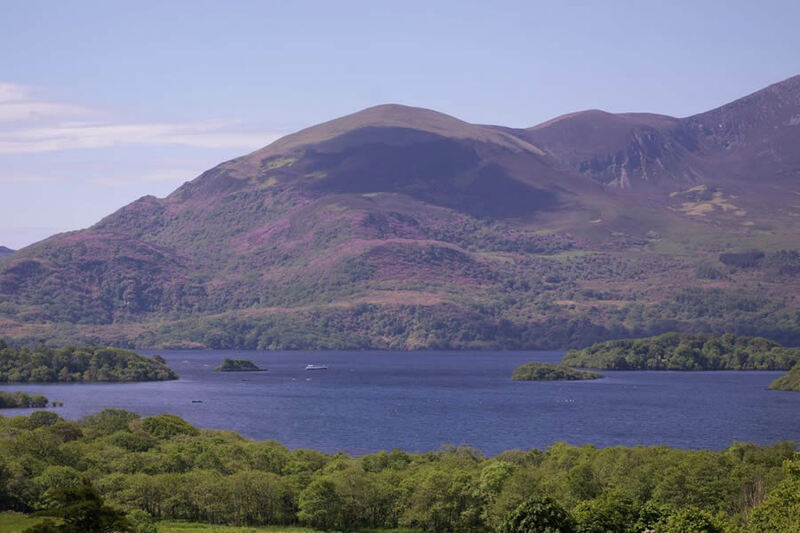 The Castlerosse Hotel occupies a sublime location overlooking Killarneys Lower Lake with the Magillycuddy Reeks, Irelands highest mountains as a majestic backdrop. For this location we have to thank Beatrice Grosvenor C.B.E who built the original hotel in 1960. Beatrice was the last member of the Browne family remaining in Killarney since her ancestor Sir Valentine Browne arrived in 1587. He had received extensive lands in Kerry from the Crown following the Plantation of Munster. The Castleford hotel is lovely, the hotel staff are very helpful and friendly. The room was spotless and very comfortable. My husband really enjoyed the leisure facilities. Breakfast was great and the view from the dining room was beautiful. There was entertainment in the bar at night and the atmosphere was lovely. I would highly recommend this hotel and look forward to staying soon again. Only stayed for one night,but I have to say both my girlfriend and I were very impressed with this hotel. Pleasant, helpful and welcoming staff. Good food. Beautiful surroundings. We had a great room overlooking the lakes and mountain scenery. Would definitely recommend the hotel to anyone. Will visit again in the future. This break wasn't under the happiest of circumstances as a normal trip to Killarney is for me and mum. We had a family funeral and we also had a special request that needed to be accommodated in order for us to stay over. From the moment I phoned the Castleross Hotel, both Daniel and Joan couldn't have been more helpful. Mum is a puppy walker for the Irish Guide Dogs for the Blind and had her second puppy, Toby back on holidays for the week. He is currently a working Assistance Dog in Dublin with a family with a severely autistic son. We needed the hotel to accommodate not only us but our working dog Toby in order for us not to have to face a 4 hour return journey 2 days in a row under difficult circumstances. The hotel couldn't have been more accommodating and welcoming from the moment mom stepped foot in the hotel to the moment we left. Mum had a lovely meal but as I was working late i didn't reach the hotel until after the removal after 10 pm, my only disappointment was that there wouldn't be any option for me to dine at that hour even if it were only a sandwich but luckily i did mention this when booking and was made aware that food would not be available after 9pm in the hotel so I wasn't under any illusion and brought something in case i'd waste away! Mum and I had a lovely drink in the bar before retiring to bed. The room itself was really lovely, we stayed in room 228, modern fresh a beautiful modern bathroom with a fab shower. I must say the towels were incredible and so fluffy and soft like hotel towels should be. After a good nights sleep and a lovely walk in the morning with Toby we headed for the dining room for what only can be described as a delightful breakfast buffet set in a dining room, I only wish was my own living room. A view to be savored even on a mixed cloudy/showery day. Ozzy was very welcoming on arrival and showed us to our table. There was a lovely varied spread and to be fair anyone who could find fault really would be a nit picker!!! We had a 3 course delightful breakfast with nice coffee and a view to die for. My only sadness was the circumstances we were staying here under and the length of our stay also. I had never been to this hotel before but I will definitely be back and think it is a spectacular venue for couples, seniors and families alike. Once our baba arrives in Jan, and the hotel re opens in March, I will be really looking forward to coming back with my husband and new arrival. Keep up the excellent work. Thank you for a lovely stay and being so accommodating from start to finish. Brilliant hotel for families, staff are so friendly and genuine, food in Mulligan's Bar was great, there was music there but we didn't stay, went for a walk instead, hotel room was clean, perfect for family, swimming was great, the grounds are fabulous, have a walk around, meet the locals walking on the paths, meet the Deer and rabbits. I will definitely return for a longer stay with my family and explore more. Room was a nice temperature, and no noise at night. Breakfast was served in the restaurant and I forgot to mention the breaktaking views, overlooking golf course, woods and lakes. Again thanks to the great staff, makes so much difference when the staff are so friendly, welcoming and yet professional. The Castlerosse Hotel is a lovely hotel, gorgeous scenic views and lovely grounds for walking around and exploring. The staff in this hotel are brilliant more then helpful and so friendly. The food is fabulous. It really is a relaxing place to be. Excellent as always! Looking forward to return visit asap! Lovely hotel with fabulous views and really helpful and friendly staff. Really enjoyed our stay. Superb! Excellent hotel, fabulous facilities, enjoyed excellent 3 course meal in restaurant, breakfast was plentiful. Enjoyed leisure centre and game of golf. Well recommended. We stayed in Castlerosse during the week. Initially we were very disappointed with the hotel. On check in, there was no evidence of our booking. The staff were nice but asked me was I sure we were at the right hotel! We were eventually allocated our room but got a bad feeling as the corridors were very old fashioned looking! Our room was very dated to say the least! We couldn't wait to get out of the room so we went walking! This is where things picked up and began to look a bit better! The walks around the hotel are fantastic, as are the pool, food and scenery. If you can live with the very dated room in the hotel- you will enjoy your stay! I would definitely return if the rooms got a re-vamp!! Excellent stay! Excellent facilities. Will be back! Love this hotel. Great facilities, fabulous safe walks/cycle paths for children. Inside, facilities just as good! Definetly recommended! very satisfied. very clean and comfortable. beautiful walks. very good breakfast. A great family hotel with lots of amenities and friendly staff. We spent one night here and used the playground, pool, soccer pitch and tennis court and the kids loved it. Highly recommended for a family weekend away. We will be back next year. Great Hotel in a beautiful setting. Lovely comfortable room. Staff very helpful. Only downside was buffet breakfast could be hotter. Exellent in every way, staff very friendly, food great, location perfect, rooms very clean.... will definitely be back. We had the most enjoyable couple of days at the Castlerosse Hotel. Location is just breath-taking! Our family room was big and comfortable. We ate in the bar and sampled the early bird menu which was very reasonable, food was delicious. Staff were very friendly. This was a very child friendly hotel. They have a kids club which ran a full days schedule. Fab leisure centre and swimming pool. Breakfast was excellent, the breakfast room/restaurant has stunning views. We stayed on a Monday night and there was live entertainment in the bar. They served free squash (cordial) for the kids. There is a walking/cycling path that runs from the hotel through to Killarney town - a very easy cycle and a very pleasant walk. I would definitely recommend Castlerosse Hotel if you are planning a trip to Killarney.. we certainly hope to return again. We decided to head away on a last minute break and we came across this hotel. Being frequent visitors to Killarney, this hotel was a lovely surprise. Very easy to find, and literaly only a few Km away from Killarney town. Location was fabulous and view breathtaking. Hotel decor was a bit tired looking, but not shabby and it added to whole experience, with that lived-in feel. 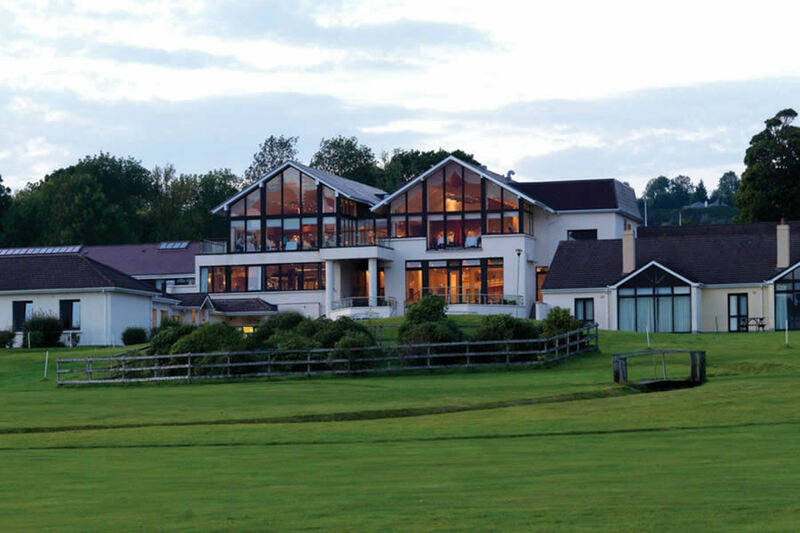 As much as it is advertised as a Golf Resort, it makes the ideal family get away location. Our children loved the kiddies play park, soccer/basket ball court and Tennis court. The swimming pool was lovely and the kiddies pool was super for our little guy. We also enjoyed the steam room, sauna and hottub as well as the jetspray seating area. Mulligans Bar and Restaurant was busy when we arrived due to a function, but staff were very very efficient and friendly. Food was spectacular, and presented beautifully. Range of food on kids menu very well done and very appealing to kids. Breakfast was served the following morning in the upstairs restaurant with the most beautiful scenic views of the lakes and mountains. Choice of food was very tasty and plentyful. Bedrooms a bit basic, however, very comfortable. On the only negative we had was the lack of hot water in the bedrooms for showers/baths. Apart from that we have a really great time and would definately come back. It ticked all the boxes for cleanliness, comfort and homly surroundings. stayed at the castleross this weekend and i have to say it was the best weekend i have had in killarney in 25 years and i have had good ones. the hotel was fantastic. the food was amazing , portion sizes were good and a 4 coarse meal was €25 per person. rooms were spacious , pool water was very warm ,had no problem to get into the water. but the best of all was the entertainment in the night time.there was an amazing sing song in the bar and dancing. Vikki my 12 year old was called up to sing about 4 songs, but she is a fantastic singer , almost everyone in the bar that could sing ,sang. the athmosphere was eletcric. in future i will be staying at the castleross hotel adn i would recomend it to anyone for the sat night sing song if nothing else. Had really good "family" fun. Facilities are excellent, staff were very friendly & helpful. Family room was a good size & loved that you got a double & 2 single beds rather than 2 doubles. Will go back again. WE REALLY ENJOYED OUR WEEK-END IN THE CASTLEROSSE HOTEL. STAFF WERE VERY FRIENDLY AND HELPFUL.. THE FOOD WAS REALLY GOOD. THE VIEW FROM THE DINING ROOM WAS SCENIC. THIS IS A VERY CLEAN AND COMFORTABLE HOTEL. WOULD DEFINATELY GO BACK AND WOULD RECOMMEND TO FAMILY AND FRIENDS. Loved it,we got a nice big room with an extra bit of space,we usd the pool,we had a great breakfast,no complaints at all. We had a very pleasant break in the Castlerosse Hotel. The room was very clean and pleasant The food was excellent and the staff very friendly. It was excellent value for money and we would highly recommend it. We were delighted with this hotel. Good service, clean, lake view room, light food options in the restaurant. V good value at €39 pp. Highly recommend.